Five Russian oil companies may face prosecution over jet fuel prices. 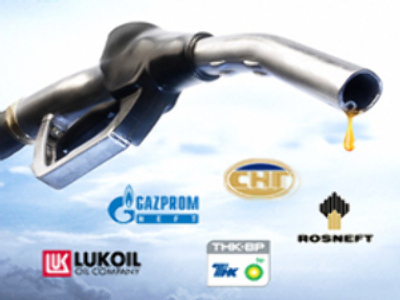 The Russian Federal Antimonopoly Service has begun investigating Lukoil, Gazprom Neft, TNK BP, Rosneft and Surgutneftegaz for using their dominant position on the market to increase prices for jet fuel and diesel on the wholesale market. According to Russian Prime Minister Vladimir Putin, Russia has the world's highest prices for jet fuel. Gazprom neft and Rosneft representatives denied the accusations. We work in a market environment and all changes in prices for our products including jet fuel and diesel depend only on oil prices on the world and domestic markets. We intend to cooperate with the federal antimonopoly agency to exclude any further claims. Rosneft's actions strictly follow Russian law. That's why we have never participated in any conspiracies including price agreements. We've always cooperated with supervisory agencies and will continue to during the process of this investigation.